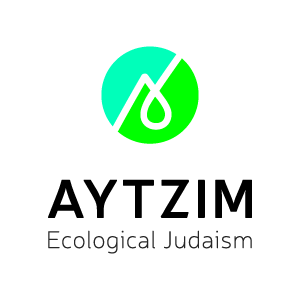 Although not exclusively an environmental organization, the American branch of Keren Kayemet L’Yisrael / Jewish National Fund in Israel is an independent organization with its own environmental and development projects in Israel, including forestry, water capture and treatment, and community-infrastructure construction. Kayam Farm’s mission is to embody and inspire social and ecological responsibility through Jewish agricultural education. Kayam runs an organic farm on the campus of Pearlstone Conference and Retreat Center, a community-supported agriculture program, an environmental bike ride, eco-Shabbatons, Jewish environmental learning retreats and sustainability workshops. The Teva Learning Alliance works with Jewish day schools, congregational schools, synagogues, camps and youth groups to teach about the environment to thousands of young people throughout the Northeast. Additionally, Teva teaches educators at its annual Teva Seminar on Jewish Environmental Education. Wilderness Torah reconnects Jewish traditions to nature cycles through environmental education and outdoor Jewish-festival programs for adults, children and families on the West Coast, such as Passover in the Desert, Shavuot on the Mountain and Sukkot on the Farm. "Climate change is one of the greatest challenges the state of Israel and other countries have ever faced." Israel is the only country in the world to enter the 21st century with more trees than it had 100 years prior.